Welcome to our apparel round-up. It’s a one-stop shop for flash sales, deals, promo codes and (god forbid) even rebates. 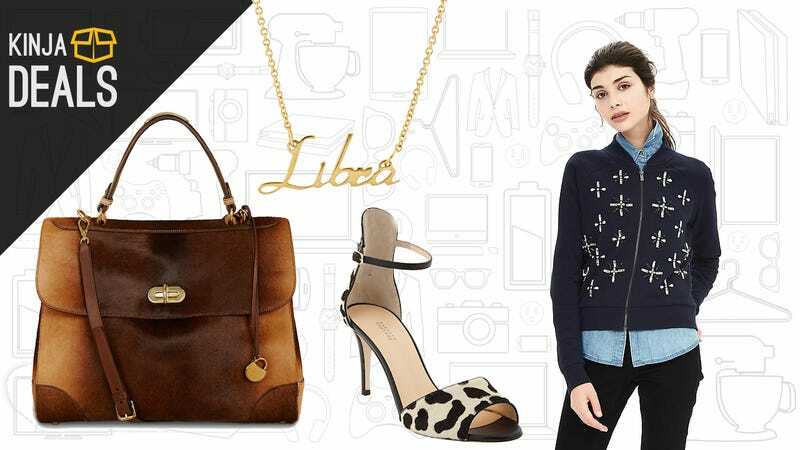 Here you’ll find the Internet’s best offers on everything from cashmere to charm bracelets, curated and judged. Please let us know in the comments what you bought, so we can live vicariously through you. Commerce Content is independent of Editorial and Advertising, and if you buy something through our posts, we may get a small share of the sale. Click here to learn more. We want your feedback. Barney’s Warehouse, usually guarded by an ivory tower of privilege, has briefly opened its gates, blessing us mortals with ample discounted designer goods. So, how much is Barney’s Warehouse slashing prices? 40% sitewide and 60% on clearance items. Despite its matronly reputation, Banana Republic consistently churns out sophisticated, playful designs—at a modest price, of course. Today, all sale items are reduced by 40% with the code BRMERRY. Ralph Lauren—or, as I call it, a place that my Grandmother likes—is hosting a big ol’ sale. You’ll find a whole bevy of merchandise for 40% off. Below, we’ve assembled some of the most promising offerings. Uniqlo, the Japanese export with a soft spot for primary colors, is hosting some splendid deals on all kinds of outerwear. Running the gamut from cashmere cardigans to fleece zip-ups, the sale is perfectly primed for winter hibernation. Below we’ve assembled a few of our favorites, ready for your judgement! Adidas—a line of clothing that Missy Elliot periodically wears—is having a sale on all kinds of items that will entice you back into the gym this winter. From the classic Stan Smith shoe to smartwatches, there’s truly something for everyone.